Portimao last weekend was a weekend of mixed results for all of the Spidi, Nolan and X-lite pilots racing in SBK. 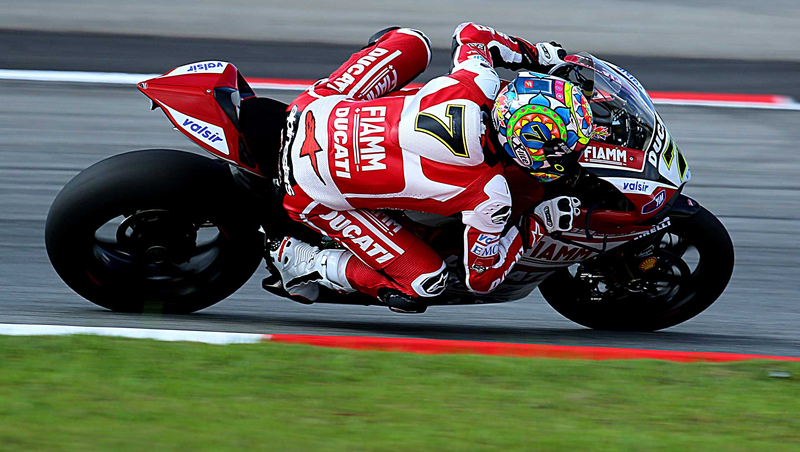 Marco repeated his victory in Monzo with a fantastic race full of twists and some spectacular overtaking. Starting in fourth position, and complaining about some issues with his bike during the practice laps; Marco, against all odds, gained the points over his opponents in the championship and although he still remains in fourth position he is now in good standings to climb the ranks. Race two though was a different story altogether. He started the race well but from race two, a faulty back tyre meant he missed out for sure on another podium and landed him with twelfth position. An outstanding race for Leon Camier – after a knock from Haslam dropped him to 15th position, he crept all the way back up through the pack narrowly missing out on a podium! Again race two for Camier didn’t go his way after a fault with the bike meant the he had to pull out of the race . All the riders are looking forward to Imola at the end of the month. “During Race 1 we knew that we could finish easily in the first 10 and maybe something more. The problem was the tyre consumption that enabled us to have a constant pace. We tried the font hard tyre something we did not use since Philipp Island, and it has been our trump card. We managed to gain a few tenths of a second in our weakest points.